Writing for television is a lot like running a marathon. It takes years of training, discipline, sacrifice and hard work. And when it comes to the actual race, there’s a lot of competition and no guarantee you’ll win or even cross the finish line. But if you’re driven, motivated and a little tenacious, television writing can be a rewarding career. Read scripts. Simple but true, and absolutely necessary. Write a spec script. When you hear the term “spec script” it simply means that nobody has hired you to write a specific script, instead you’re doing it for practice, enjoyment and/or as a writing sample. Get yourself an edumacation: Successful screenwriters come from varied backgrounds and everybody has a different story about how they got they got their first big break. Most screenwriters have some kind of university or college degree, but individual areas of study vary widely. Write again: Don’t just talk about that script you always dreamed about writing, instead sit down and write it. When you’re finished the script set it aside for a week and then come back to it with a fresh mind. You’ll find that the passage of time will give you greater perspective to further revise. Show your script to someone you trust to give you honest and informed feedback. And then rewrite based on that feedback. Rewriting is the only way you’re going to hone your craft and become a better writer. 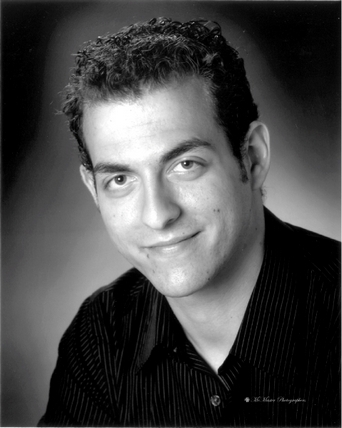 Mark Haroun is a former YouthWrite supervisor and an award winning playwright and screenwriter. His play for young audiences A Giraffe in Paris received its premiere at the Citadel Theatre and was later produced in Montreal at Geordie Productions. The play was the winner of the Elizabeth Sterling Haynes award for Best Production for Young Audiences and was short listed for the Gwen Pharis Ringwood Award for Drama at the Alberta Book Awards. Mark was the recipient of the 2008 Canadian Authors Association’s Emerging Writer Award and winner of an AMPIA (Rosie) Award for screenwriting. In 2010, he was nominated for a Gemini Award for Best Writing in a Dramatic Series. Mark’s play Under Cover was recently commissioned and produced by Concrete Theatre. The play was the winner of a Sterling Award for Outstanding Production for Young Audiences. Currently, Mark is a writer and Creative Consultant on CBC’s popular one-hour family drama Heartland.